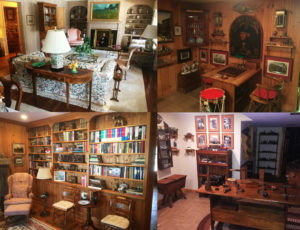 Mark Lawson Antiques announces an historic Saratoga Springs estate sale taking place March 10, 11, and 12. This untouched on-site estate sale is a landmark event, with a wide variety of items collected over the years by the long-time Saratoga Springs residents. The gentleman of the house was a true captain of industry, an avid amateur woodworker with an interest in antique and modern tools, and an advanced collector of militaria, painting his own toy soldiers and creating small dioramas. He also acquired memorabilia from the Kennedy, Nixon, Ford, and Reagan administrations, including some Civil Rights related letters signed by Robert Kennedy during his term as Attorney General. 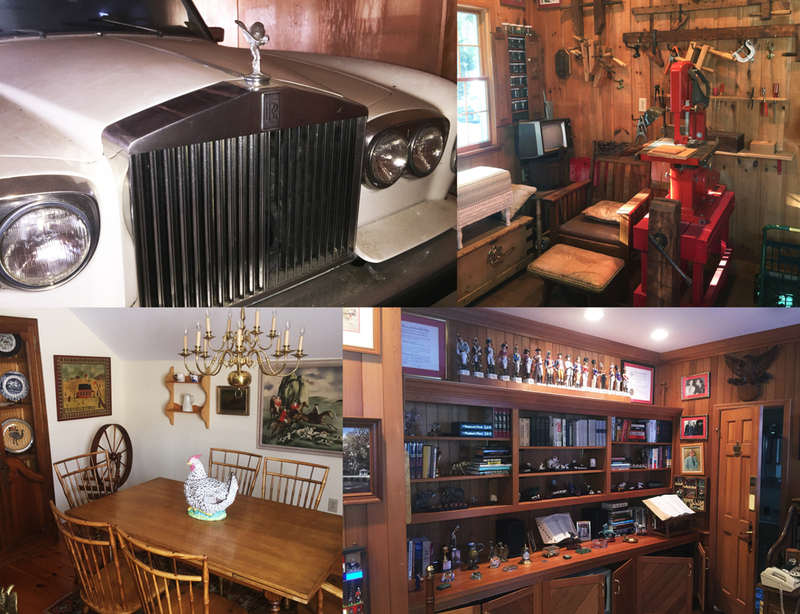 He was also an automobile enthusiast with scattered automobile collectibles including signs, old framed advertisements, and a 1978 Rolls Royce Silver Shadow. The lady of the house was a successful artist exhibiting in New York galleries in the 1970s. she was known for her framed collage and mixed media assemblage works, a number of which are featured in the sale. Her works can be found in private and public collections around the world. View additional details, including photographs and terms of sale, by visiting the listing on EstateSales.net. Mark worked exceptionally hard at selling our painting and with great perfection. We would highly recommend him to our friends and family. - Cheryl & Bill R., Selkirk, N.Y.